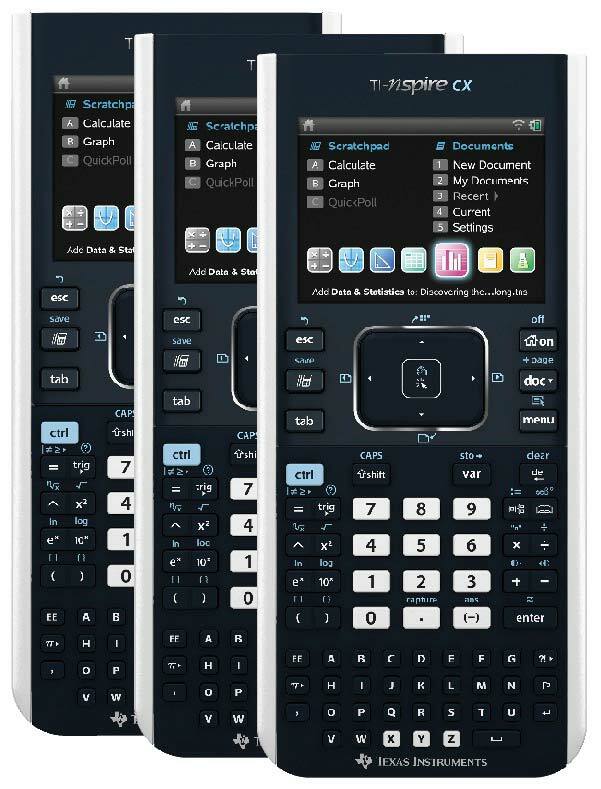 Three new TI-Nspire CX graphing calculators in retail-style packaging. Introducing a colorful and engaging way to visualize problems and make connections. Includes the functionality of the TI-Nspire TouchPad, with a full-color backlit screen, a thin sleek design, and rechargeable battery.